As the world counts down to 2015, experts are anxious over the increasing rate of mother-to-child transmission (MTCT) of HIV in Lagos State. The State is one of the 12 States, in addition to the Federal Capital Territory (FCT) and it accounts for 70 per cent of the country’s burden of MTCT of HIV. To eliminate MTCT of HIV in line with Millennium Development Goals (MDGs) number six, there is urgent need for the State to increase efforts, if it must meet the 2015 deadline. Data from the Lagos State Bureau of Statistics confirmed that with a population of 22 million, Lagos, with a HIV prevalence of 5.1, is one of the 12+1 States that account for 70 percent of the nation’s burden of children born with HIV based on the 2010 National HIV Sero – Prevalence Sentinel Survey. In view of this, the State government has commenced a campaign to accelerate the Prevention of Mother-to-child Transmission of HIV (PMTCT) aimed at reducing maternal death in the State. It is against this background that the UN health agencies are supporting the State government to convene the high-level meeting of women decision-makers in the State and other critical stakeholders to identify their roles in eMTCT and maternal deaths. Under the new initiative, the State is therefore collaborating with United Nations Children’s Fund (UNICEF) United Nations Joint Programme on HIV and AIDS (UNAIDS) United Nations Population Fund (UNFPA), and other relevant stakeholders, to catalyse high level support for eMTCT of HIV and maternal deaths through the mobilisation of strategic stakeholders, including women of influence. Further, it was gathered that UNAIDS is committed to revolutionising HIV prevention policies and practices that will ignite policy makers, opinion leaders and community gate keepers to focus on populations and programmes that will make a difference attaining zero new infections. One of such programmes is the elimination of vertical (mother-to-child) transmission of HIV and the reduction of AIDS-related maternal death by half in 2015. This mandate is clearly in line with that of UNAIDS “3 zeros” target of zero infections, zero AIDS-related deaths and UNFPA: delivering a world where every birth is safe and where every woman is treated with dignity/respect. Projected population figures for Lagos State in 2012, showed 1,060,225 women got pregnant in that year. At an HIV prevalence of 5.1 percent, about 54,071 pregnant women are living with HIV approximately one-third of whom would, in the absence of any intervention to prevent mother-to-child transmission of HIV, pass on the virus to their babies. This translates to 16,468 preventable HIV infections among infants in the State in 2012 alone. With a maternal mortality ratio of 555/100,000 live-births, Lagos State has a burden that is higher than the national figure of 545/100,000 live births, a development that negates UNFPA’s mandate of a world where every birth is safe and every child is born free of HIV. The goal of the new initiative is to improve the demand for quality PMTCT services and to encourage healthy timing and spacing of pregnancies. Against this background, Wife of the Governor of Lagos State, Mrs. Abimbola Fashola has called for accelerated action and sustained commitment on the part of all stakeholders especially vast majority of grassroots women in the drive to eliminate mother-to-child transmission of HIV. Mrs. Fashola who made this call during a recent meeting with stakeholders to demand for accelerated elimination of mother-to-child transmission of HIV and Maternal Death Reduction in Lagos State noted that the gathering of stakeholders to discuss issues affecting women and children particularly mother-to-child transmission of HIV is a demonstration of renewed commitment of the State government and other stakeholders to address the issue. She explained that the fact that Lagos State is one of the 12+1 States that accounts for 70 per cent of the country’s burden of mother-to-child transmission of HIV is a clear indication that State must play a significant role in the efforts to eliminate mother-to-child transmission of HIV in line with Millennium Development Goals number six. “It is noteworthy that the State Government has not relented in its response to this challenge through free preventive mother-to-child transmission (PMTCT) services; increase of service delivery points from 66 in year 2012 to 312 in 2014 and various strategies aimed at encouraging pregnant women to attend ante natal clinics in the primary health care centres close to them”, Fashola stated. 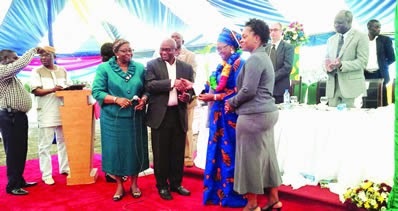 Earlier, the Special Adviser to the Lagos State Governor on Public Health, Dr. Yewande Adeshina noted that Lagos State has adopted all the strategies recommended by relevant international agencies including United Nations Joint Programme on HIV/Aids (UNAIDS), United Nations Population Fund (UNFPA) and United Nations Children’s Fund (UNICEF) in its quest to eliminate mother-to-child transmission of HIV. She added that the Lagos State government has continued to build capacities of health workers, provide needed test kits, consumables and drugs with support from implementing partners stressing also that more PMTCT sites are being activated. Adeshina however noted that it is regrettable that in spite of these efforts, access to PMTCT and family planning services by pregnant women remains poor. She therefore stressed the need to help protect pregnant women who are HIV positive to bear children that are HIV free and also be in stable health to look after these children. This story was published in Newswatch Times on October 30, 2014. 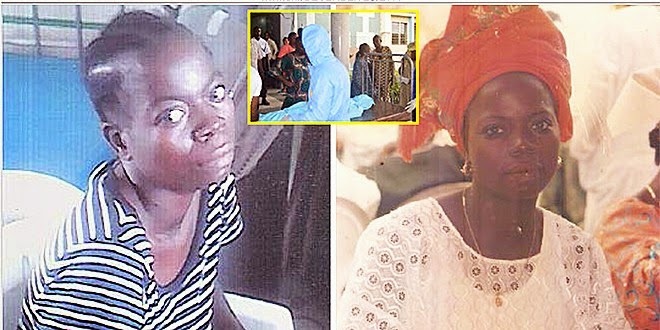 Perhaps, if the newly signed National Health Act which provides for free medical care for pregnant women and under-five children has become enforceable, Mrs. Folake Oduyoye who died at the Lagos University Teaching Hospital (LUTH) from complications due to a caesarean section procured at a private hospital, Midas Touch Clinic, Aguda, Surulere,Lagos, could have been prevented. According to her husband, Adeyemi Oduyoye, 35- Folake Oduyoye died on December 13, this year at LUTH, Idi-Araba, Lagos, due to negligence of LUTH occasioned by the inability of the family to pay over N1.3 million cost of medicare incurred from over one month that his wife was hospitalized at the Intensive Care Unit (ICU) of LUTH where she was referred to after infections from the CS led to sepsis that required another surgery. Adeyemi lamented that the hospital detained and did not allowed his wife to seek help elsewhere, even as she was abandoned without attention by the hospital staff when her condition deteriorated because he was unable to settle her medical bills. “They did not treat her; they left her in the hospital; they did not allow me to take her for good treatment; they depend on money; they don’t care for human life,” alleged Mr. Oduyoye who as a printer could only pay N300, 000 out of the bill. Bode said that Oduyoye would have died but for the efforts of the healthcare team who kept her alive in spite of the ongoing strike by health workers. ‘’This lady came into LUTH in critical condition, unconscious and infected from CS performed in another hospital. She underwent a major operation at which plenty of pus was evacuated from her abdomen. ‘’She underwent a tracheostomy, creating a hole on her neck to enable her breath and stay alive. ‘’She was admitted into the Intensive Care Unit, with multiple organ failure, for one month she was on ventilator, a machine which was breathing for her. ‘’She also developed two episodes of cardiac arrest from which she was rescued. She also developed renal failure for which she underwent four sessions of haemodialysis,” he said. He explained that the multiple surgeries, specialised tests, interventions, dialysis, drugs and consumables cost N1.5 million. According to him, the family paid a total of N300, 000 and requested that a total bill of N1.2 million be waived. ‘’She was discharged on November 9, when she was deemed fit to go home, while her husband was sourcing for money to pay hospital fee. ‘’Her relations, who wanted the hospital to let them walk away without paying for the services she received, abandoned her. ‘’The husband requested to pay in installments of N15, 000 per month and this was accepted, but he could not bring anyone to stand as guarantor. Civil society groups have since risen to condemn of avoidable death of Mrs. Odudoye for maternal related causes due to lack of money to pay her medical bill. A human rights organisation, Women Advocates’ Research and Documentation Centre (WARDC) which on Friday petitioned the management of the LUTH over the death of, Oduyoye, lamented that it was one of the many deaths of women that are preventable. The Executive Director, WARDC, Dr. Abiola Akiyode, decried the insensitivity of hospitals in Nigeria said that high cost of health care in Nigeria is preventing women from accessing quality deliveries in hospitals. money that the hospital presents to them, they normally detain them. This is one of the detentions and this is the result of the detention,” she said. money you are not entitled to standard health, It is just terrible”. “ Is it a crime for a woman to produce children? We say we have high mortality rate in this country, we are the second largest in the whole world and we are supposed to be getting funds from all kinds of people, all kinds of agencies to assist us in this. Can’t they use that kind of funds to prevent the loss of lives? She questioned. Meanwhile, Development Communications (DevComs) Network and its partners on the NOTAGAIN Campaign has called on the government to ensure effective implementation of the new National Health Law to help women and children have access to quality health care. This story was published in Newswatch Times on December 25, 2014. With four companies ready to begin production of anti-retroviral drugs in Nigeria, there is hope that more People Living with HIV (PLWH) in the country will now have access to anti-retroviral (ARV) drugs for treatment of HIV/AIDS. The Joint United Nations Programme on HIV and AIDS (UNAIDS) recently, said that the issue of accessibility of ARV will soon be a thing of the past when its production begins in Nigeria. 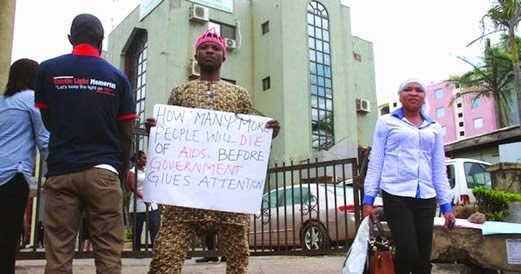 Over 300 protesters under the aegis of Network of People Living with HIV/AIDS (NEPWHAN) shut the office of the National Agency for the Control of AIDS (NACA) last November, alleging that they were unable to access anti-retroviral drugs. They further alleged that there was ongoing withdrawal of financial support to HIV/AIDS by external funding partners. NEPWHAN also complained about non-implementation of the Comprehensive Response Plan inaugurated by President Goodluck Jonathan to bridge the existing treatment access gaps. As early as 6am, the protesters had besieged the major entrance to the office of the Director-General of NACA, Prof. John Idoko, and prevented him and other staff from entering. They came with bed sheets and other sleeping materials, an indication that the protest would be serious. The spokesperson for NEPWHAN, Mr. Sumaila Garba, had told journalists that they would lock up NACA office for 25 days. Among these protesters were young men and women, carrying placards with different anti-government inscriptions. Reacting, Idoko assured the protesters that NACA was looking into their grievances to ensure that the issues were resolved amicably. But, there are indications that the Joint United Nations Programme on HIV and AIDS, would through new arrangements encourage local production of ARV. Speaking for UNAIDS was its Country Director, Dr Bilali Camara, who confirmed this in an online report, adding that the agency would enter into partnership with telecommunication companies to ensure that basic information about HIV/AIDS were advertised. The UNAIDS Country Director, expressed optimism that the local production of anti-retroviral drugs would enable people access treatment at a cheaper rate. He added that it will also help those on life treatment, stressing that people live on treatment for 15 to 30 years. “We have commenced negotiations with four pharmaceutical companies; the companies have been certified by the World Health Organisation (WHO) for the general manufacturing practices,” he said. According to Camara, many West and Central African States would benefit from the production, because nobody is producing the drugs in this region. He added that beside Nigeria, seven million other people may need the drugs for treatment from West and Central Africa, which shows that there is good return of investment to the companies. In related development, Camara said UNAIDS would enter into partnership with telecommunication companies to ensure that basic information about HIV/AIDS was advertised. He noted that this would assist to further increase access to treatment to 101 million people in Nigeria are targeted. The Country Director said: ““We want to give more people access to basic information on HIV/AIDS. We want our target to know how to prevent mother to child transmission of HIV where and how to get HIV/AIDS related services. “So that in the next few years we have more people accessing the services which many result into many infants born HIV positive mothers and born infants without the disease,” he said. Also, Camara, lamented that the high cost of female condoms was affecting its availability and distribution in Nigeria. Camara, observed that people shy away from promoting female condoms because it was not readily available. The Country Director said the UN Population Fund (UNFPA) and few other partners were importing the condoms but supply was inadequate. According to him, the Department for International Development (DFID) is already into social marketing of condoms and will promote both the male and female condoms as well. Camara said: ”Female condom protects against the spread of HIV, unwanted pregnancy and infections during sexual contact. The UNAIDS focal point said the female condom was made of thin, strong plastic called polyurethane. This story was published in Newswatch Times on February 5, 2015. Dr. Ejike Oji is a medical practitioner with over three decades of experience. He is also a social entrepreneur, working to empower communities. He had worked at the international level and facilitated some health programmes that benefited Nigerians, especially women, his passion to serve his people and make life better for them influenced his interest to participate in politics. 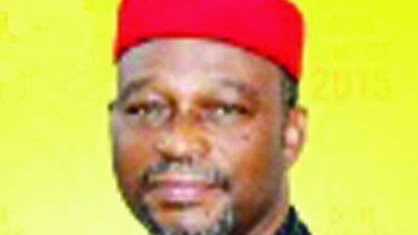 He will be representing Isuikwuato/Umunneochi federal constituency of Abia State in the House of Representatives. His initial plan was to run on the platform of Peoples Democratic Party (PDP), but he latter dumped the party for All Progressives Grand Alliance (APGA). He gives reasons for his action, and the programmes he intends to execute while in office, in this interview with CHIOMA UMEHA. Can you shed more light on your background, especially place of origin, schooling, degrees, professional experience/career pursuit and goals? I was born to the family of Mazi B.A. Oji and Helen Ogbealu Oji of Ndi Oji compound Umudinja, Amaeke Ovim of Isuikwuato Local Government Area of Abia State. I am married to Hon. Justice Chizoba Oji and blessed with four (4) wonderful children. I have worked for 34 years as a physician and a social entrepreneur, working to empower communities, safeguard the sexual and reproductive health and rights of women, and to build the capacities of young people in health and sustainable development. I have extensive experience in medical practice and consultancy, advocacy, and project and events management. I have over 20 years of international development experience. I have worked as a medical officer in multiple health facilities and was at one time the National Coordinator for the National Program for Prevention of Blindness. I have organized and facilitated several national and international medical conferences, workshops and seminars. Additionally, I am a fundraising advisor for the Nigeria Red Cross and Chair of the Fund Raising Committee at the University of Nigeria. You recently resigned your position, as the Country Director, Ipas Nigeria, and you decided to go into politics. What informed your decision? I joined Ipas international in 2002, and worked as its country director until 2013. Ipas is an international non-governmental organization that specializes in women’s sexual and reproductive health and rights and my work at Ipas took me to over twenty countries around the world, and earned me over thirty awards in the area of women’s health and rights. During my time at Ipas, I worked with colleagues to derive the midwifery scheme in its current form, which helped Nigeria get a grip on maternal mortality. This midwifery scheme resulted in a 50% reduction in maternal mortality in less than half a decade and led to Nigeria receiving a number of awards & more importantly aid & investment dollars in health. I was also part of a key lobby for National Health Bill from 2007, facilitating engagement, input & pressure on the bill. I was among the pioneer groups of activists that developed & pushed for the Violence Against Persons Prohibition Bill. I was part of a key lobby that pushed US congress to release millions of aid dollars for women’s health in Nigeria. Over the years, I realized that all of these works, and the many achievements that followed, were milestones that would have been achieved faster for Nigerian women, if we had sufficient political will. This meant for me that I could make the lives of millions of Nigerian women better from inside the political theater, than I would as an international development expert on the outside. You mentioned that you want to represent your constituency in the House of Representatives. Which constituency do you belong? I am the All Progressives Grand Alliance (APGA) Candidate for the Federal House of Representatives for the Isuikwuato/Umunneochi Constituency of Abia State. What program do you have for your constituency? What I have for my constituency and for Nigerians is a promise built on a clear understanding of the responsibilities of a representative: Law-making, oversight, attracting federal presence and investment to their constituency. My Policy & Legislation lobby work for the National Health Bill, the Violence Against Persons Prohibition Bill and towards the US congress to release millions of aid dollars for women’s health in Nigeria, provide me with key experience with Law-making. My passion for pro-poor laws in addition, can only be a huge plus for any potential congress member. I have over two decades of Project Management experience and I have also worked extensively in events management. All of these require financial & technical oversight. I worked as country director for a leading international NGO in women’s sexual & reproductive health & rights, Ipas, for eleven years. These experiences, and a track record of integrity, provide me with the right skill set to work in Oversight. In addition to working with colleagues to develop the midwifery scheme, I devised, approved & supervised hundreds of projects in women’s health across nineteen states of the federation, during my time at Ipas. All these projects were created on sound foundations, and attracted foreign Development Aid and Investment. Such experience for a potential congressman can only benefit my constituency & that of other legislators who needs the support. Over the years, I have created numerous youth & women empowerment programs, including microcredit for widows. All of these, I did with my personal resources, over the years. In that regard, there is almost no doubt that I will attract federal presence to the constituency. On these key areas, the members of my constituency and the Nigerian public can be rest assured of effective representation in the lower house of the Nigerian congress. How is your agenda different from that of other candidates in your constituency? My experiences are different from those of the other candidates. Along with the numerous recognitions that I have earned for myself, for my constituency and for Nigeria, I have a clear plan of how I will make these experiences come to bear in National Assembly, to the benefit of my constituency and the Nigerian public. My agenda differs from those of the other candidates, on that premise. Why do you think your agenda is the most important thing for your constituency, especially now? Over the years, my constituency has suffered from poor representation and sub-standard governance. Over the years, we have organized visitations and community wide consultations, and the feedbacks we got from the communities are unanimous: They want more effective representation, and they want it from someone with a track record of delivering for the masses. So my agenda is also largely built on what my constituency has clearly expressed as their need, over the last few years. How do you plan to ensure that you deliver your promises and give dividends of democracy/development to your constituency? My 20 years of international development experience, has imbibed me with the skills to achieve set out goals, and to devise robust monitoring and evaluation mechanisms, to keep us on track towards our goals. In this regard, my team and I are already setting out a clear strategic plan with deliverables and measurable outcomes for the constituency. This strategic plan will birth tactical plans, once we are officially handed the mandate. What influence your decision to take part in politics? I am contesting on the platform of the All Progressives Grand Alliance (APGA). The party represents community-centered leadership in its motto of being your brother’s keeper. You were once a member of People’s Democratic Party (PDP) and what informed your decision to dump the party for APGA? Many of us, had worked so hard to foster unity, transparency and strength of character within the party echelons of the PDP, over the last years. I had in particular worked tirelessly to bring my international development experience to bear, so as to curb impunity and promote progress within and outside the party. However, following a series of unsatisfactory and undemocratic events within the party, I came to the conclusion that membership of the party was not tenable for me at the time. I felt that any leading political party within the country must be transparent and promote internal democracy. In the absence of that, no party can lay claim to fostering democracy across the nation, and I would not want to be a part of that. You said that you were adopted as a consensus candidate. Was it under APGA or PDP? What informed your choice as a consensus candidate? I had initially set out to contest for the election, under the umbrella of the PDP, and this consensus candidate issue was for the PDP. However, my ward and local government had a number of interested candidates. The ward & local government wings of my party decided to organize issue based debates and informal vetting and voting for the candidates, to allow the members of the party consolidate and produce a consensus candidate. I won both contests in a resounding manner, getting more votes than the total number got by all the other aspirants put together. However, as things turned out in the PDP, my integrity and hunger for participatory democracy mandated that I contest on a different platform. Do you stand a chance of winning with the new platform you have just joined? It is an election, and anyone can win. However, I am my people’s choice and this will be clear at the polls. What are the challenges you are facing since you declare your interest to run? To be honest, I have had few challenges, and rather it gives me more reasons to be motivated and to renew my commitment. Every day on the campaign trail, I see the people in my constituency who could have benefitted from better legislation and policies, and more federal presence and especially international development aid. They remind me of why I became a doctor. They remind me of why I went into international development. They remind me of why I am in Politics. They have chosen me to lead and help make their lives better. They make me forget all the little challenges. What is your assessment of the campaigns generally? The on-going campaigns have been intense, and have sometimes even gone overboard. This is not surprising, but is an opportunity for us, as community leaders to reach out to Nigerians, calling out to them to participate in the elections, to vote peacefully and to protect their votes peacefully. Nobody’s political ambition should be worth the life and physical well being of another Nigerian, so we must encourage peace and calmness, as people execute their electoral duties. What is your assessment of the on-going campaigns by the two Presidential candidates? Can you predict their chances? There are 14 Presidential candidates, and many of them are running very strong campaigns. I wish them all the best. The most important thing must be that whoever gets elected, will with all the other candidates to build a Nigeria with better security, employment opportunities, healthcare, education, Power and wider development. Of course, my party, as its candidate, has adopted President Jonathan and he is running a very robust campaign. We will continue to give him the necessary support. Some believe that, the polity is unnecessarily being overheated and the election may be postponed? Do you subscribe to the postponement? INEC have reiterated that it does not plan to postpone the elections, and it is working very hard to conduct credible elections. The onus should be on all of us to support them and work together in this regard. The country belongs to all of us, and we must support the available institutions, to the benefit of all. Propaganda is on the increase on how to stem insecurity and eradicate corruption in the country; many believe that these are mere gimmicks and may not translate to reality. What do you feel about that? I believe that many people do not know what is going on, and a typical case is national security; there is a thin line between transparency and jeopardizing security operation. This story was published in Newswatch Times.